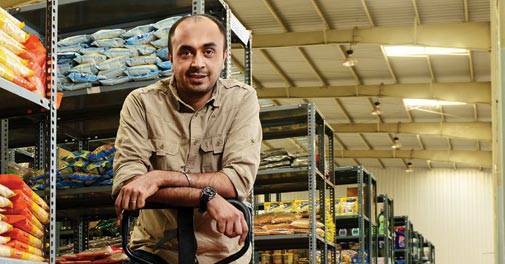 At online grocery start-up Grofer's aggregation centre in Gurgaon, Co-founder Albinder Dhindsa shows an orange-coloured delivery bag, one that his delivery boys once carried on their backs, zipping across more than 20 cities in bikes to deliver everything from lemons to detergent powder. From the time the orders were placed by customers, they had two hours to deliver. That's the nature of the hyper-local, on-demand business Grofers played in. But the bag would hold only two crates. As volumes shot up in many cities, the company employed more and more bikers. One delivery boy couldnt do more than nine orders a day; the size of the bag limited the volume they could execute. Realisation struck Dhindsa early in 2016. The on-demand model would work but at a huge scale. However, investors no longer had the appetite for the amount of capital it could require - in people, aggregation centres, and other parts of the supply-chain. Although Grofers had raised $120 million in November 2015, the funding climate was getting chillier. The online grocery sector, itself, was in a crisis; Grofers closed down operations in nine cities in January last year as scale remained elusive even after a marketing blitz. In May 2016, the start-up pivoted to a next-day delivery model that gave it more time to plan the delivery. Instead of bikes, it switched to vans that could do 22 orders a day. Vans also accommodated bigger orders with higher margins. The value of goods delivered more than doubled. While a bike delivered orders worth Rs 9,000 a day, a van can carry groceries worth Rs 25,000. "Our operational costs last year were at 100 per cent of sales. Currently, it is close to 25 per cent," says Dhindsa. "We were running four aggregation centres in Gurgaon alone because you had to get to the customer in two hours. Now, we are running just one." In 2015, Grofers employed 4,000 people. The headcount has halved to about 2,000 at present. Not just Grofers - most large and mid-sized consumer Internet businesses, including all e-commerce start-ups - are now focused on stemming their fixed and variable expenses. Myntra, for instance, says it has reduced discounts by 800 basis points over time; Flipkart has been able to arrest the growth of its selling, general and administrative (SG&A) expenses; Snapdeal's net revenues have grown three times over the last year; ShopClues' shipping costs have dropped 20-25 per cent a unit; budget hotel aggregator OYO Rooms has saved up 30 per cent month-on-month in travel expenses; Zomato has reduced its monthly burn by 89 per cent, from about $9 million in mid-2015 to a million by the end of 2016 - as it redirected its geographic focus, cut down on non-discretionary spending, and improved efficiencies. At an industry level, expenses on logistics may be down 10-20 per cent versus 2015. Manpower is down about 15 per cent, advisory firm RedSeer says. For some e-tailers, 85 per cent of the monthly burn is in marketing. "There is more rationality kicking in discounting and coupons. Television advertisement has significantly gone down. Outdoor and print is much lower. In my view, there is at least 50 per cent decline in advertising on a year-on-year basis," says Sandeep Aggarwal, founder of e-commerce marketplace Shopclues and used vehicle marketplace Droom. He estimates that e-commerce companies, put together, spent between $1.2 billion and 1.5 billion on every type of marketing in 2015. "In 2016, it is more in the $800million-900 million range." Companies did splurge on marketing during the festival season. In the run up to Diwali, Snapdeal said it will spend more than Rs 200 crore on marketing campaigns over the next 60 days. But most companies ran low-decibel campaigns or none for most months of the year as wary investors increasingly demand a path to profitability. They want e-commerce companies to reduce cash burn. Nikesh Arora, former President & Chief Operating Officer of SoftBank, one of the biggest dealmakers in the Indian Internet consumer play with investments in Snapdeal and Olacabs, popularised a new term among its portfolio companies: thinking about the "islands of profitability". Lawyer Roma Priya, Founding Partner of Burgeon Bizsupport, which represents both start-ups and investors, says that while most 'affirmative rights' - rights investors have a veto power on - haven't changed, increasingly in 2016, some rights that help venture capitalists exert greater control over a start-up's spending and operations have found their way into agreements. "Investors have tried to control expenditure by saying you need hiring consent above a certain bracket. Or if you take a loan beyond a certain threshold, you need his consent. They could also ask for monthly income statement to see how the money is being spent," she says. According to data from the Ministry of Corporate Affairs, the combined losses of India's top eight consumer Internet companies, which include Flipkart, Amazon, Snapdeal, ShopClues, Ola, Quikr, Paytm, and Zomato, has more than quadrupled from Rs 1,210 crore in the year ending March 2014 to Rs 5,885 crore in March 2015. That number would have further bloated in the year ending March 2016 - loss data for every company is not yet available. Notably, there is one category of companies that is well capitalised and sustains high decibel marketing campaigns. Paytm (One97, which runs Paytm, had a loss of Rs 1,535 crore in 2015/16) is on a marketing overdrive, particularly after the government's demonitisation move in November. Amazon lost Rs 3,572 crore in 2015/16. Nevertheless, there is no break in its spending. In a talk widely circulated on YouTube, Scott Galloway, an Adjunct Professor of Marketing at the NYU Stern School of Business, says that no company in the world has ever had access to cheap capital in a way Amazon did and now they are taking advantage of it. "They are going underwater into the world of fulfillment which is very expensive, with the largest oxygen tanks, forcing every other retailer to follow them. But everyone else is following with a smaller oxygen tank and will begin drowning." You can sense that pressure when Indian marketplaces talk of "capital dumping" and seek a "level-playing field" from the government. Many of the same companies got carried away by the reckless funding environment of 2014 and 2015 and spent their way into the hearts and minds of the Indian consumer. "It was a lavish organisation in that sense because there is abundance of money," Flipkarts former CFO Sanjay Baweja told Business Today on phone. "Unless money is constrained, it gets used up very quickly." E-tailers and other start-ups may have finally started treating capital as a finite commodity. Business Today met Swati Bhargava, the Co-Founder of affiliate marketing company CashKaro.com, a day before Amazon's Great Indian Festival Sale. Her office, in Gurgaon, was being decked up with balloons. "Today, the whole sector is so energised. It almost feels like the battle ground is set," she quipped, gleefully. "It's Amazon and Shopclues tomorrow; Flipkart and Snapdeal come next. Every employee will be here at midnight. There will be pizzas. This Diwali will be bigger than last year," she predicted. In hindsight, she was correct. October 2016 was a bumper month for the e-tailing industry as festival sales raked in a gross GMV of $2.25 billion versus $1.5 billion in the same month the year before, research from RedSeer states. But there was a major change in the way discounting added up. E-tailers got banks to fund the discounts, or a part of it. This could have reduced the burn they would have otherwise incurred. "Every retailer negotiated a bank card discount, which is often funded part by the retailer and part by the bank. But never before have we seen every offer accompanied by a card offer," Bhargava says. Just before Flipkart's 'The Big Billion Days Sale' that ran from October 2-6, the company nudged customers to "apply right away for SBI credit cards and debit cards that will fetch you the biggest, juiciest deals". Bank offers went up to Rs 2000-3000, where as last year it was much lesser, says Bhargava. December-end, Flipkart was still sending consumers mailers with the subject line, "We are feeling generous today". However, the company's SG&A expenses are tapering off, Sanjay Baweja told this writer soon after he quit, around October last year. When he joined Flipkart in November 2014, he wrote on LinkedIn: "Moved here to the hugely exciting and the very fast moving world of E- Commerce, the Sunrise industry of today". He said he resigned because "the company is in a different mode and it is a continuous restructuring process. I thought it best that I should move into a different area". Baweja denied rumours of any conflict with the company's board, particularly one that relates to cash burn. "If you were to look at SG&A expenses, and if you were to compare what was the trend two years ago, first I was able to stabilise it as a straight line and then now it is coming off," Baweja says. "We have been able to stem the growth of that expense completely. It is now about getting the unit economics right and then the scale benefits will continue to come." Baweja says SG&A expenses were controlled because of manpower rationalization. "The only growth in manpower we allowed was in the tech team. There was a contraction in some of the other teams that were over staffed. Other frivolous expenses were done away with," he says. Accounting in Flipkart was in a "desperate" situation when Baweja joined in 2014. "Now, we are in a place where we are able to get our monthly numbers in quickly. Lot of the numbers are available on a daily and a weekly basis. Taking decisions is therefore much faster and importantly, there were expenses that shouldn't have been there. That is taken care of," Baweja says. 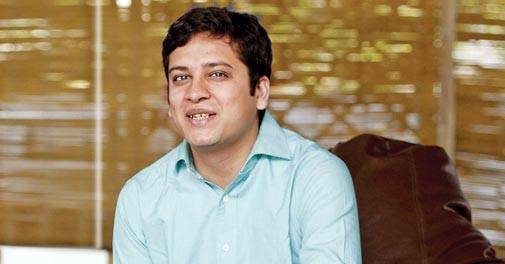 He did not want to talk numbers but Flipkart burnt Rs 192 crore a month, going by its filings. In the year ending March 2016, Flipkart Internet lost Rs 2,306 crore on revenues of Rs 1,952 crore. At some companies, data science is being used effectively to check marketing expenses. 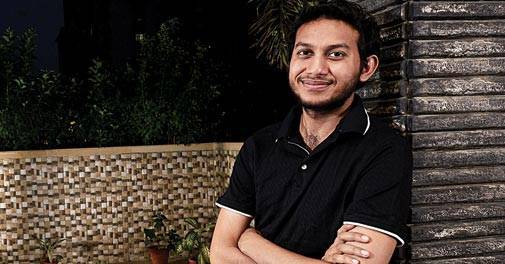 Ritesh Agarwal, CEO of OYO Rooms, says his cost of customer acquisition has dived at least by half versus 2015. "We are spending our dollars in a way more intelligent manner than earlier. Data science now says which channels we should be on and at what hour. Data also tells us at what hour of the day we should incentivise a customer for downloads," he says. Like Flipkart, OYO, too, has built processes around managing SG&A expenses. A case in point is the flight, train, and bus tickets booked by employees travelling on company assignments. A while back, they booked the tickets themselves and applied for reimbursements later. "Now, we have partnered an agency that has a lot of flights they pre-buy. They are able to give us cheaper options," says Agarwal. "Then there are best practices like booking seven days in advance for a flight. And whenever you travel to a new city, there will be a per diem and no questions are asked on where you spent it. Earlier, three people spent time approving it," he adds. For OYO, these measures corresponded with the recruitment of the CFO, Abhishek Gupta, in June 2015. "The mandate for him was to help the organisation operate more sanely. He brought in a lot of the systems and processes. We have saved more than 20 per cent on a month-on-month basis in terms of travel expenses," Agarwal says. OYO recently moved to a spanking new office in Gurgaon's Sector 69. Agarwal had negotiated a rent-free period of six months - OYO is the anchor tenant for the builder. One of Agarwal's quirkiness was to move around the office bare-feet. But the day this writer met him, he was wearing shoes. He had important visitors. And this office was too huge to be a fashionable, bare-footed entrepreneur. Things changed in six months for this large lingerie maker who sells backless bras, balconettes, G-strings and thongs on all marketplaces. Very little commission was initially charged by e-tailers on the category and the seller was encouraged to make prices attractive for customers. They did. However, since March 2016, commissions rose. Marketplaces started charging between 12 and 20 per cent. Many other fees were slapped as well: for the units stored at the e-tailer's warehouse; for the goods that are returned by customers; a cash collection fee; a small component of the marketing fee, even. "None of these were there before March. The storage fee never existed. For any item we sell, these charges take up Rs 130-140," says the lingerie maker, who didn't want to be identified. What's happening here? Many e-tailers, according to Sreedhar Prasad, Partner E-Commerce at KPMG, have worked on reducing logistics expenses. "Today, we see many initiatives. Some have started charging both customers and sellers. Categories where the average order value is small, like in electronics accessories, toys, books etc, have a delivery charge associated with it. Further, e-tailers today are evaluating multiple delivery models and alliances for last mile delivery. If implemented well, these have the potential to reduce the impact due to logistics costs by 20 per cent," he estimates. ShopClues, for instance, is one company that has started charging for shipping. "Because of the sanity in the marketplace, everyone started paying attention to shipping costs. 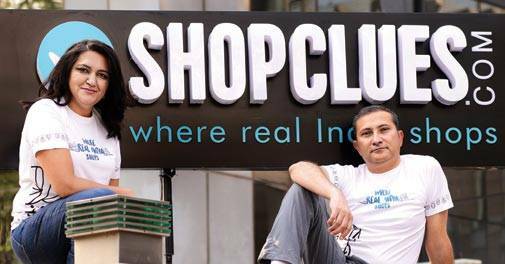 We were also able to charge for shipping," CEO of ShopClues Sanjay Sethi says. "We will give you free shipping if you buy many products but if you happen to be in a remote place, you may have to pay Rs 30 for a shirt. This is on since May 2016," he adds. ShopClues also tries to avoid air shipping by showing shoppers inventory closer to their location. "As soon as you move away from air shipping, your cost drops by as much as 70 per cent. The distance travelled is less when it is a regional supply-chain," Sethi explains. The company's courier partners now run dedicated trucks. ShopClues also has 48 courier partners; the large number ensures a better bargaining chip, and thereby, better rates. "Our shipping cost per unit is dramatically low and that is because we have a large catchment of suppliers. We have seen about 20-25 per cent drop in shipping costs per unit," the CEO says. 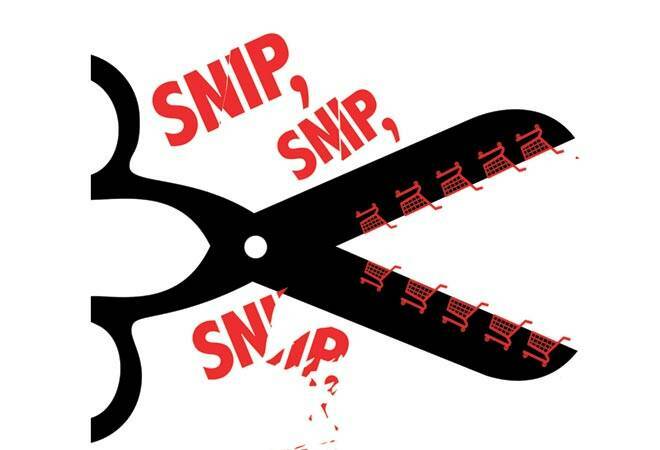 Snapdeal is another company to have worked aggressively on reducing supply-chain costs. When Business Today met Kunal Bahl, CEO of Snapdeal, in April last year to talk about the influence of Softbank, he said that "Nikesh (Arora) started pushing us to find the islands of profitability in our company"; that the company's gross margins tripled in the last six months and "its fulfilment cost as a percentage of sales is the lowest in the industry". How did the company achieve this? Snapdeal stocks goods closest to where they sell. "We intelligently use data. If you want to sell something in western India , the goods are stocked in warehouses in the west, not in the north. Goods move much less, which means there is much less transportation cost," says a spokesperson. Second, the company prefers shipping the ordered goods faster. "There is a high level of correlation between fast deliveries and returns. If it is delivered in one or two days, a consumer is still in the purchase mode. After a week, you may change your mind," he explains. Third, almost 80 per cent of the goods now go through Snapdeal's own fulfilment centres. This way, the company is able to scan the goods - either through X-ray machines or even open the packets. It cuts down incidents of incorrect shipping. "Because incidents of returns come down a lot, it helps the seller reduce his costs and also helps us reduce our logistics cost," the spokesperson says. The pressure on delivery companies for better rates and efficiency has driven them to rethink network design. Ecom Express, for instance, now covers more locations with the same number of fleet it operates. In many cases, the company has preponed the departure time of vehicles by an hour. "Earlier, a vehicle carried three location shipments in Delhi. By preponing the departure time, we have added one more location," says Sanjeev Saxena, Co-founder of Ecom Express. This way, the company requires lesser number of vehicles for a city. Vehicle costs, according to him, are 30 per cent of the logistics cost. "We have cut about 8-10 per cent." Sanjay Sethi is lean and tall. He explains everything in great detail and smiles a lot. But he is rarely animated. His eyes must have popped after this conversation. In June 2015, the CEO of ShopClues wanted to hire a head of product. After two rounds of interviews with a candidate, Sethi initiated a chat on salary expectations. The candidate, who lived in the US, said he was paid $3 million a year. Stock options extra. "There was no conversation to be had after that. I had to tell my recruiters not to introduce me to anybody who is above the Rs 1 crore bracket," Sethi recalls. "In the past six months, people have become much more reasonable in their remuneration expectation. A product manager would now cost between from Rs 70 lakh and Rs 3.4 crore," he adds. Salary expectations have moderated even at the entry level. Rohan Diwan, Co-founder of Quickli, a hyper-local delivery start-up, says that a year back, the biggest challenge in doing a start-up in Bangalore or the NCR was finding tech talent. "They were very expensive. Someone who was being paid Rs 50,000 by an Infosys or TCS, would expect Rs 1 lakh a month from a small start-up like us. These were people with one and half-two years of experience," he says. "They would reject our offers because a Paytm, a Snapdeal, or a Flipkart would offer them a Rs 8 lakh package," he adds. This has changed. "We are now getting a massive surge in resumes since the last three months. Earlier, we were running helter-skelter to find an Android guy; I now have a pipeline of 30 guys waiting to join. And a fresher is accepting a Rs 12 lakh offer," Diwan says. Business Today met Diwan in October last year. Quickli, however, shut down operations by December. The reason is many companies are cutting headcount or aren't hiring in the same breadth they were last year. Grofers went on a hiring spree to build capacity before demand materialised. Many other companies did that too - hired candidates with a one year outlook. But tough times meant tougher calls. They now hire with a three month outlook. In fact, a panel responsible for campus hiring at the Indian Institute of Technology (IIT) blacklisted 31 start-ups in August after many of them revoked job offers or delayed hiring. In 2015, Flipkart hired 250 across business schools, Nitin Seth, the chief administrative officer at Flipkart, told Business Today's E. Kumar Sharma recently. The company had deferred joining dates for those picked from June to December since Flipkart "was undergoing a major restructuring" and was not ideally placed to "offer the learning opportunity to the 250." Without citing numbers for hiring in the current fiscal year, Seth said that "the management philosophy is that we want to be lot more prudent in terms of our planning." Like in marketing or logistics, technology is playing a part in making the workforce more efficient, or even keep employee costs in check. Automation is playing a role in customer service, which can account for upto 25-30 per cent of an e-tailer's workforce. Fashion e-tailer LimeRoad says its 'contact per order' - the number of times a customer contacts the service centre for an order - has dived 35-40 per cent in a year's time. "We have deployed technology so that customers contact you less. For example, if I know your package is running late, I will pre-emptively message so that you don't have to call us," says CEO of LimeRoad Suchi Mukherjee. The company's refund related queries have reduced after it implemented a one-click refund process. LimeRoad's cost per order is down significantly since October 2015 when it was at Rs 19.5 per order. In September 2016, it trended at Rs 8.8 an order. If first time resolution improves dramatically, it reduces the need for repeat contacts per order. By extension, it can potentially cut the need for customer support employees. The fact that LimeRoad has an inventory-less model helps in cash preservation. Mukherjee fiercely scribbles on a board. "There are two evils in the P&L," she explains. "Discounting and inventory. These are two bad words, scary." Those building private label businesses will have stock. Some will sell while some may not. Stock, therefore, is a negative drain on the cash. "To clear this stock, you will have to drop prices. Its the biggest folly," Mukherjee says. To cut down on such follies, consumer Internet businesses have been hiring folks that can carry out surgical strikes. You could conclude it is a sign of the e-commerce industry's growing maturity. Most large companies have appointed experienced CFOs over the past one year. 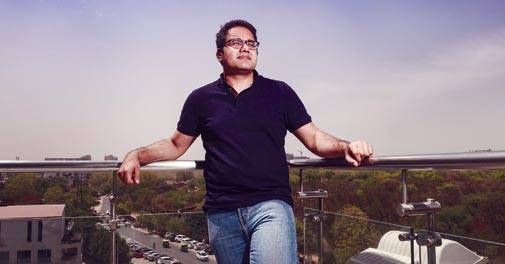 In October 2016, Paytm appointed former Citigroup executive Madhur Deora as CFO; the former CFO of Wipro, RPG Enterprises and InMobi Manish Dugar joined online healthcare firm Practo in May; Rajiv Bansal joined Ola after many years of working in IT services exporter Infosys; Snapdeal appointed Anup Vikal in 2015, who in his last role was the CFO of mobile network operator Aircel. It is sort of a signal to investors. They are serious about preserving cash. This writer met the newly hired CFO of fashion marketplace Voonik Prabhakar Sunder in Bangalore's Manyata Embassy Business Park where the company is located. He joined Voonik after seven years in Myntra's finance wing. Sunder hints at what marketplaces will work on, going ahead, to preserve cash and ensure a healthy working capital. Large companies could increasingly try to create a higher 'float' because India is still a cash market and cash on delivery (CODs) still remains a chunky mode for e-commerce payments. Yes, even after demonitisation. "Let's say I am able to collect the money from courier companies in three days but the liability to sellers is in five days. I have a two day float. As the company grows, the two day float will keep increasing. This is where cash is generated. You have cash to run your businesses. That is what matters," Sunder says. Voonik currently has a day's float. "I don't want it to go too high because it sends a wrong message to the sellers. They would feel I am making money at their cost," he says, before adding: "But if I get to a three-four days' float, I will be extremely happy." Third party logistics companies could be squeezed more. Sunder says that cash cycles could improve if courier companies deliver and collect the cash fast enough. "Then push them to give that cash to you in a short service level agreement." Manish Dugar had implemented a 60-30-10 rule in InMobi; he is doing the same at Practo. 60 per cent of a company's money goes into the bread and butter business, which generates cash. 10 per cent is for moonshots; 30 per cent of the 10 per cent may have the potential to become commercially feasible. In simpler terms, this rule means shutting down exotic products that don't make much near-term sense or isn't scaling. "It is the finance guy who has to do the surgery. He has to sit with the founders and say this is not working," Dugar says. No doubt, CFOs are becoming increasingly hefty people in Indian e-commerce. "After the CEO, the second most powerful guy I am starting to see is the CFO," says OYO's Ritesh Agarwal. That is good news for the industry, its employees and investors. If 2016 was a year of realism, 2017 is heading towards Realism 2.0. CFOs may ensure there is no irrational exuberance, only cautious optimism.